Many people want to lose weight. Some people want to lose those stubborn last five pounds and some are obese and at risk of serious cardiovascular disease. Whatever the case, losing weight often tops the list of people's healthy initiatives and for good reason. Scientists have shown the correlation between excess fat and serious illness such as insulin resistance, type 2 diabetes, heart disease and premature death. The good news is that you can accelerate your weight loss by drinking some of your favorite beverages. Instead of reaching for sugary sodas or dangerous weight loss pills, simply pour yourself a cup of tea and sip your way to better health. With these weight loss teas, you'll reach your target goals faster and enjoy the process. 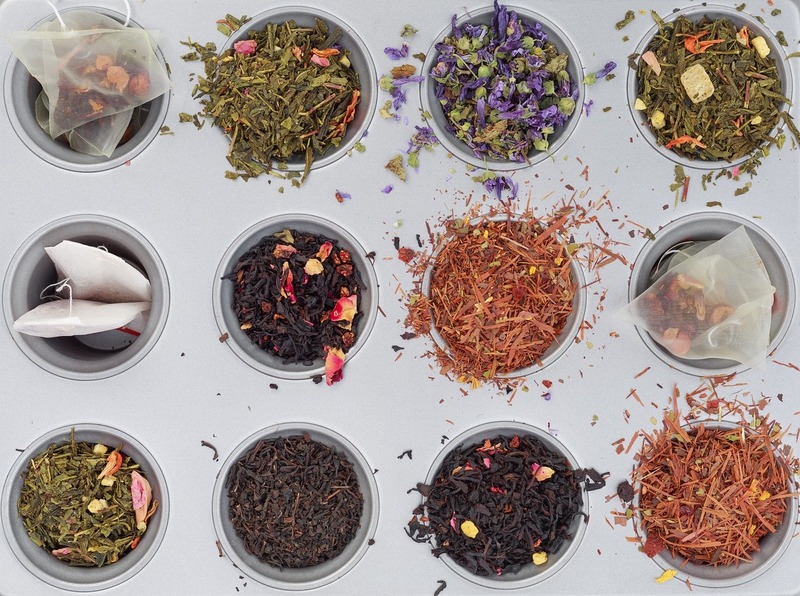 Want to grab tea to help you shed pounds today? 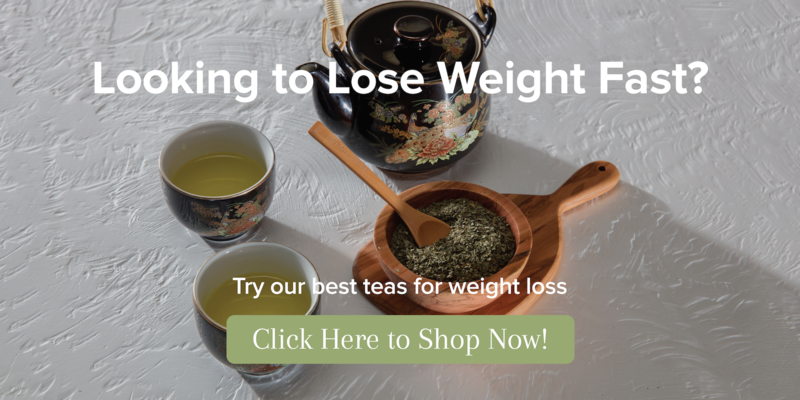 Check out our best teas for weight loss right here. Green tea is a powerhouse when it comes to health benefits. The Chinese and Japanese often consume green tea with each meal to promote a healthy lifestyle. Green tea can help you shed belly fat thanks to powerful compounds called catechins, which help to increase your metabolic rate, boost energy levels and reduce fat storage. A study published in the Journal of Research in Medical Sciences demonstrated that consistent green tea consumption increases metabolism and leads to weight loss. The study divided 63 participants into three groups. The first was a placebo, the second group consumed 2 cups of green tea every day and the third group consumed 4 cups of green tea every day. After 2 months, researchers found that the group that consumed 4 cups of green tea a day showed a significant decrease in body weight, body mass index and waist circumference (1). There's also evidence that drinking green tea can turbo-charge your body's ability to burn fat, helping you reach your weight loss goals even faster. A second study found that green tea signals fat cells to release fat and boosts the liver's ability to convert that fat into energy. Participants drank four to five cups of tea per day and incorporated a 25-minute workout into their routine. The individuals that drank green tea in addition to regular exercise lost an average of 2 pounds more than those that simply exercised (2). Drink green tea before or during each meal to boost your metabolism. Make your workouts more effective by adding a green tea supplement to your pre-workout routine or drink a tall cup of green tea before heading to the gym. There are a variety of different green teas to choose from and most will offer the fat burning qualities you desire. Opt for Japanese green teas such as matcha tea, Sencha Fuji green tea and Genmaicha tea for sweet, roasted and vegetal flavors. Alternatively, drink Chinese green teas such Formosa Gunpowder green tea if you prefer strong, bold flavor profiles. Herbal tea blends such as jasmine green tea are a good alternative if you want to satisfy a sweet tooth while boosting your metabolism. A big part of losing weight is maintaining a healthy diet. It can be hard to stick to healthy foods if you're not fond of power foods such as quinoa and kale. Cravings for sugary, salty and fatty foods can make it easy to ditch your diet and fall back into bad habits. Banish cravings by drinking mint tea and help stay on target to your weight loss goals. 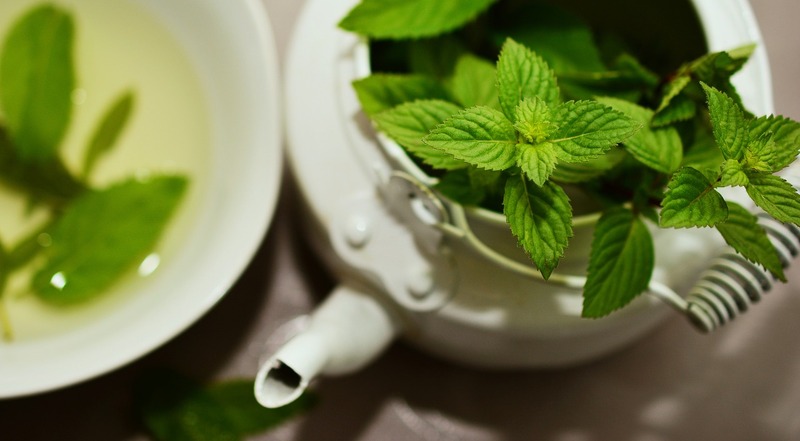 The science behind peppermint teas craving crushing powers lies within its scent profile. A study conducted by the Journal of Neurological and Orthopedic Medicine found that participants who consistently inhaled mint essential oil every two hours lost 5 pounds per month on average. Aromatherapists believe that the scent of peppermint triggers chemical reactions in the brain, which reduce feelings of hunger. Peppermint tea can also help reduce bloating, making you feel more comfortable after each meal (3). Combine hot water and peppermint leaves in a big teacup and inhale deeply while drinking. You can use peppermint tea bags for convenience if you want to prevent cravings on the go. The best weight loss teas tend to come from loose tea leaves, since they contain more of the chemical compounds responsible for health benefits. Whichever tea variety you select, make sure to breathe in the aroma of mint to get the best results. The hardest things about losing weight are having the energy to workout and the discipline to stick to your diet. Oolong tea, or 'black dragon tea' can help you on both fronts. This tea is chock full of catechins like those found in green teas. These powerful compounds help metabolize fat, resulting in high levels of energy and accelerated fat loss. The delicious flavor will have you reaching for a cup of tea instead of unhealthy treats and desserts. A study conducted by the Chinese Journal of Integrative Medicine examined the effects of oolong tea on weight loss in 102 obese individuals. Participants were given 8 grams—about 4 8-ounce cups—of oolong tea every day for 6 weeks. At the conclusion of the study, 70% of participants lost at least 2 pounds while 22% lost more than 6 pounds (4). Researchers believe drinking oolong tea regularly can help obese individuals increase energy and weight loss. The catechins in tea enable your body to target fat cells and the mild caffeine content of oolong tea can give you the boost you need to get through a workout. Oolong tea is slightly stronger than green tea, but more mild than black tea or pu-erh tea. Oolong tea flavors vary from floral to malty depending on the type and brand. Most varieties are floral teas that have a hint of sweetness with a bold flavor profile that invigorates your taste buds. If you're trying to limit your caloric intake, opt for our milk oolong tea. Deliciously creamy and slightly sweet, you can skip adding milk and save those calories for later. Two other great options are Ti Kuan Yin or Se Chung oolong tea if you prefer the herbaceous flavors of traditional oolongs. White tea is one of the healthiest teas out there and considered amongst the most natural. This tea is not processed like other teas and is simply harvested and sun dried before it is packaged and shipped to grocery stores near you. White tea contains higher concentrations of powerful compounds such as catechins and polyphenols than other more processed teas. These compounds help to prevent new fat cells from forming in the first place. A study published in the Journal of Nutrition and Metabolism examined the effects of white tea on fat cells in vitro. Researchers discovered that the antioxidant EGCG in white tea prevents the formation of fat cells, helping to reduce weight gain. These antioxidants also sped up the breakdown of fats, making this diet tea a good choice whether you want to lose weight or prevent weight gain (5). There are four main varieties of white tea. The two most popular and highest quality varieties are Silver Needle and White Peony. Silver Needle white tea is made using only the flower buds of the tea plant and features a delicate, slightly sweet flavor. White Peony is made using both the flower buds and leaves of the tea plant. It is darker in color and tends to have a stronger flavor than Silver Needle. Rooibos tea is a vibrant maroon colored tea that is as visually pleasing as it is healthy. It is cultivated exclusively in South Africa in the Cederberg region near Cape Town from the 'red bush' plant. This tea contains a chemical compound known as aspalathin, which helps to halt hunger and keeps you feeling full longer. A study published in the Public library of Science showed that consumption of rooibos tea can reduce stress-induced weight gain. Aspalathin in rooibos tea works to reduce stress hormones such as cortisol, which can trigger hunger and promote fat retention (6). Stress can lead to binge eating and overeating that can derail weight loss goals. By regularly consuming rooibos tea, you can decrease your stress levels, feel more relaxed and combat hunger. Rooibos is naturally caffeine free so you can enjoy a cuppa anytime you want—even before bed. It features a nutty and citrusy flavor profile with a refreshing finish. Drink a cup during each meal or when you feel stressed out and are inclined to binge eat. 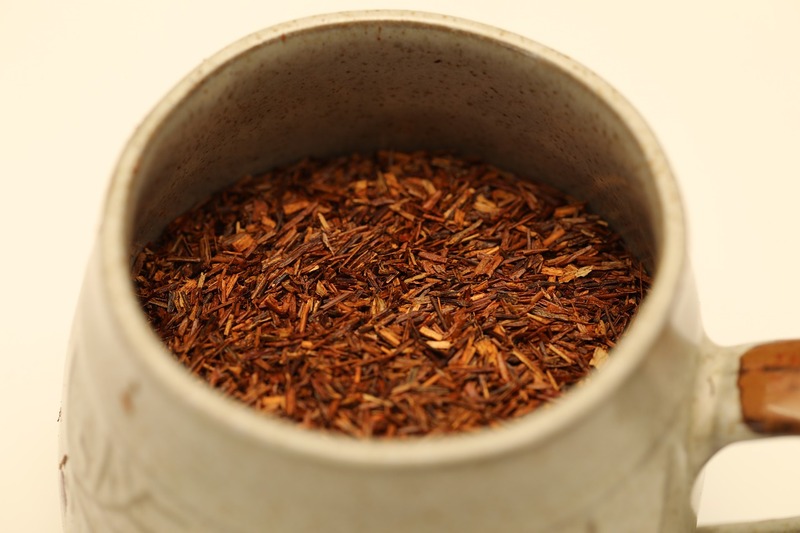 Rooibos tea is often used as a base tea for masala chai. The addition of spices such as cardamom, cinnamon, ginger and black pepper make this spiced rooibos tea even more delicious. Warm up our rooibos masala chai and add a dash of soy milk or rice milk for a creamy, invigorating treat. Losing weight is hard. It can be difficult to find time to work out and eating healthy can be a drag if you're not into healthy foods. But getting fit and losing weight doesn't have to be impossible. 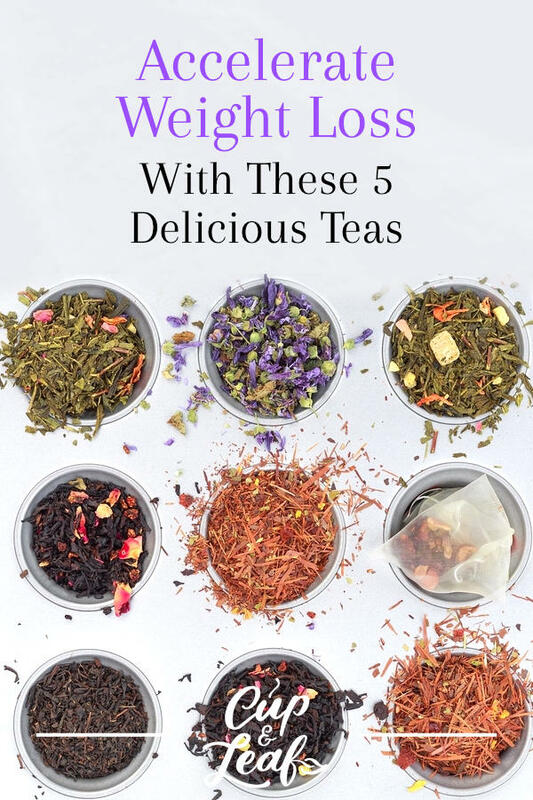 Add some of these delicious diet teas into your daily routine and you can shed those pounds faster while still enjoying the flavors you love. Drinking tea is a delicious way to stay healthy and hit your fitness goals. These detox teas for weight loss can help you feel energized so you can tackle even the hardest workouts. They also alter your body chemistry to help you burn fat faster so you can hit your target body weight in no time. Add a few cups of tea to your day and mix it up to reap all these weight-loss benefits.